[Miriam] Sagan’s poems filled my eyes so much that the rest of my senses began to ache in comparison. Carboniferous Layer of Life, a book review by Mary Alexandra Agner. And!! we’re doing a giveaway of ten copies over at Goodreads. Apocalypse Now contributor Margaret Atwood was featured in Wired for her latest project, Fanado. She was also interviewed yesterday in The Rumpus, and will appear at a free, public event at University of Calgary for Valentine’s Day. Tobias Carroll and R. Stephen Shodin discussed Brian Evenson‘s fiction for Vol. 1 Brooklyn, and TSP: The official blog of The Story Prize interviewed him. T. R. Hummer was interviewed by Meg Pokrass and had 3 poems in Slate this month. Joyce Carol Oates‘ Black Dahlia & White Rose was reviewed last week in The New York Times Sunday Book Review. 140 And Counting contributor Dawn Corrigan had a story (“Force Majeure“) in The Dying Goose. Ken Liu talked about translating Chinese science fiction into English. Jonathan Pinnock‘s Dot Dash was reviewed at The Independent, and his poem “This is Just To Be Meta” went up at The Pygmy Giant. Apocalypse Now contributor Margaret Atwood appeared on George Stroumboulopoulos‘s show on the CBC last week, her story “Erase Me” appeared (for subscribers only) on Byliner, and NPR wrote about her serial novel Positron. Paolo Bacigalupi‘s The Windup Girl was voted third in the Locus Online best of 21st Century SF Novel poll; his Ship Breaker was on The New York Times Best Sellers list for Young Adult Fiction. 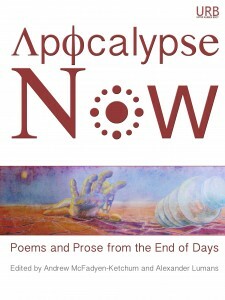 Kelly Link was featured in an author spotlight at Lightspeed (“Catskin,” the story she is asked about at the top of the interview, is her contribution to Apocalypse Now). Marc McKee was interviewed for First Book Interviews about Fuse. 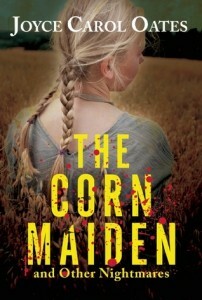 Jeff VanderMeer reviews Joyce Carol Oates‘ The Corn Maiden and Other Nightmares. Catherine Pierce‘s poems “The Unabashed Tourist Brings Her Lover to the French Quarter” and “The Unabashed Tourist Talks With a Skee-Ball Proprietor in Ocean City, MD” appeared at The Good Men Project. And finally, 140 And Counting contributor Francis W. Alexander had a bunch of December publications: stories “A Middle Class Man’s Woeful Tale: The Perfect Wife Made in China and Runaway Inflation” and “A Love Bird Preparing the Nest” in The Drabbler Issue 21, and poem “Midnight Scolding for Things Not Done” in Spaceports and Spidersilk, and “Zantook the Santa” in Residential Aliens.